Avada WordPress Theme Review: Is This The Ultimate WordPress Theme? Avada is the number one best-selling theme at the largest WordPress theme marketplace, ThemeForest. 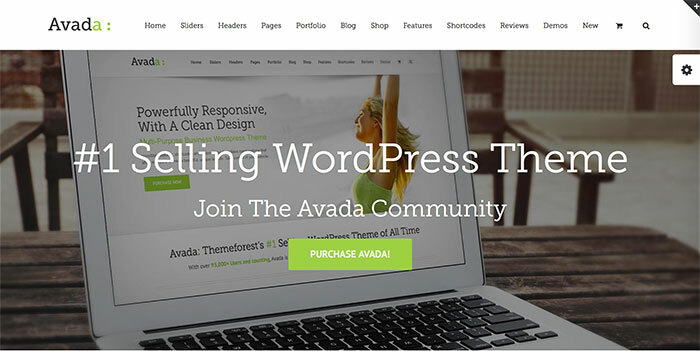 Since its release in August 2012, Avada has generated more than 100,000 sales — making it one of the most popular premium WordPress themes the world has ever seen! The Avada demo does an excellent job of selling both the theme and the dream of being able to build a similar website without the need for a developer or coding skills. However, the reality of using a product can often differ greatly from the promises of its promotional material. With that in mind, we’ve taken Avada for a test drive to see how easy it is to use and whether or not it lives up to the hype. What Type of Theme is Avada? 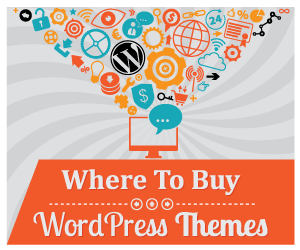 Before we get started, it’s worth noting that there are two schools of thought when it comes to WordPress theme design. The first is that themes should be built for a specific type of website, with a minimal set of customization options and limited additional functionality; the second is that themes should be multipurpose, and include as many features, page templates, customization settings and options as possible to enable you to build any type of website with one package. The developers of Avada fall into the latter camp here, and have used their skills to create a multipurpose theme that’s in no way lacking in features, customization options, prebuilt layouts, or third-party plugin integrations. If this isn’t the type of theme you’d consider buying, then this review is unlikely to change your mind. However, if the idea of a flexible theme that can be modified to build any type of website without any coding knowledge appeals, then Avada could be just what you’re looking for. 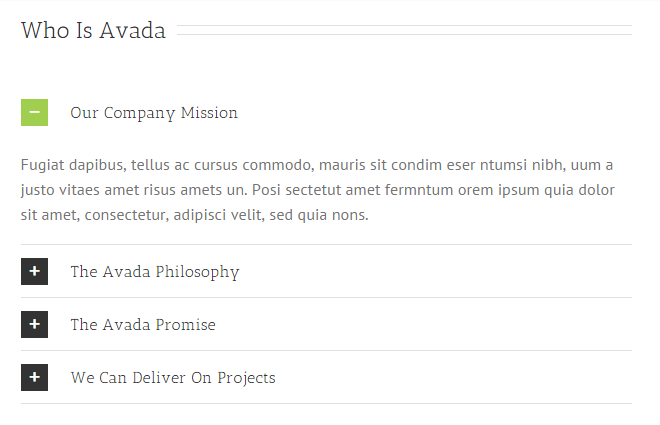 So, without further ado, let’s get started with a complete review of ThemeFusion’s Avada WordPress theme. Avada is packed with a seemingly ever-growing list of features. The developers have certainly done a great job of expanding upon the core functionality of WordPress to cover almost every eventually, making this a multipurpose theme with few rivals. The already extensive list of features can be widely customized using the wealth of options and settings available — making Avada an extremely flexible theme. Once you’ve installed and activated the theme, you’ll be prompted to install the required Fusion Core plugin, and the recommended premium LayerSlider WP and Slider Revolution plugins. 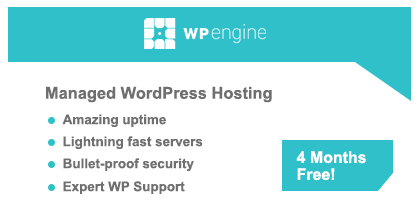 Thanks to the use of the required plugins installer, adding these to your site only takes a few clicks, after which you can set up the theme to meet your needs. If you take a look at the front end of your website, you’ll notice it looks nothing like the demo version of Avada. However, you have a couple of options at your disposal to get things looking a bit more palatable. 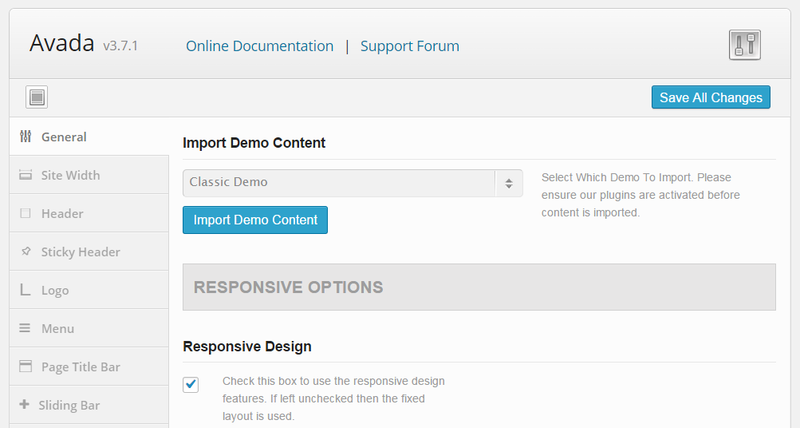 You can either import all the demo content or recreate selected pages from the demo version. The second option can be achieved by using the Fusion Builder tool and its ability to recreate individual pages from the demo version. Alternatively, you can manually copy and paste the code from the documentation for the pages you want to build. Both options are very straightforward, and you should soon have your website up and running. Obviously, you won’t want to use the entire demo version for your website, so you’ll need to head to the theme options control panel to start personalizing its appearance and functionality. As you can see, the theme options control panel is something to behold, and gives you access to countless options for customizing and tweaking your website. To get the most from Avada, you should probably spend some time going through the available options. However, when you’re just getting started, a better approach may be to locate any settings you want to modify as needed — rather than getting lost in the back end of your website. Avada comes complete with its own proprietary page builder tool, which can be used to create a new post or page. Its interface is pretty intuitive: The first step is to choose a column layout, after which you can populate the layout with content. When it comes to adding that content, you can insert any of the many builder elements into the layout and then customize them to meet your requirements. 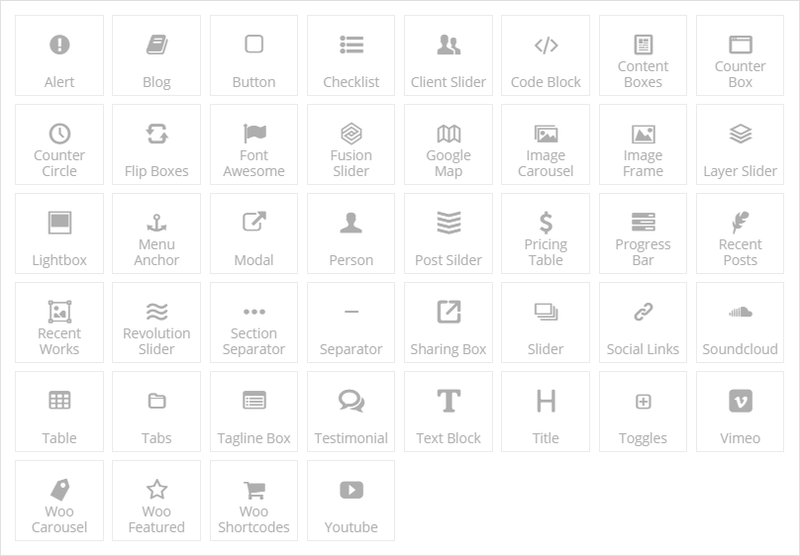 The layouts can be as advanced as you need — allowing you to add multiple rows, each with their own column layout. Elements can be added to each of the columns and rows, allowing you to build rich pages that really do break free of the constraints of the default WordPress editor. While you don’t get a live front-end preview of your work as you use the builder, you can easily preview the post or page, just as you would a regular piece of content in WordPress. Through the builder, you can also save any layouts you create for reuse, or apply one of the prebuilt templates. As well as the Fusion Builder, posts and pages have an options panel below the main editor area that allows you to customize how they look and function on an individual basis. These options cover a range of settings, such as adding background images, configuring how the sliders and header are displayed, which sidebars to display, and a whole lot more. These choices are only applied to the individual post or page you’re working on, meaning you really do get a lot of flexibility in how the individual pieces of content on your website look and function. As well as the post and page options, the custom post types that Avada makes use of — portfolio and FAQ — each have their own set of options, and their own custom taxonomies to help you organize them more efficiently. 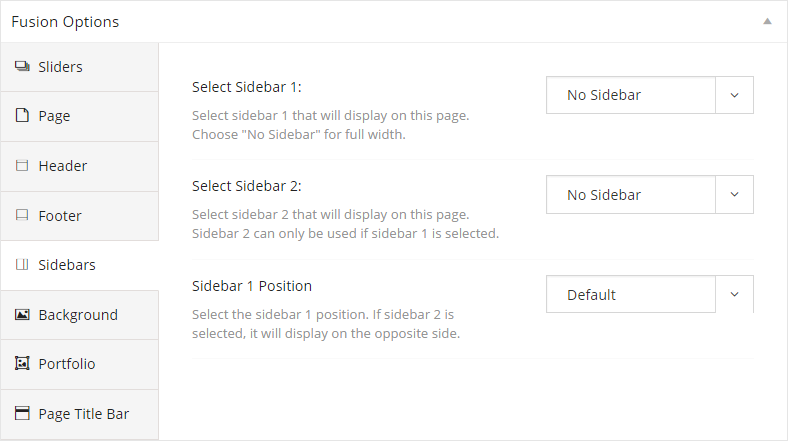 Avada also gives you the option of creating multiple sidebar areas for your website, which can then be displayed on single or multiple pages. This gives you total control over the exact widgets that get displayed alongside each type of content. There are also settings to display multiple menu locations, a sticky header and sliding bars that display widgets, and the option to display your site in a one-page mode — plus there’s also a huge library of customizable shortcodes. On top of all that, you also get access to the premium LayerSlider WP and Revolution Slider plugins for adding amazing animated content sliders to your posts and pages. Having so many features and tools at your disposal does have the potential to encourage you to go overboard when creating your website. Just because you now have the ability to add sliders, animation effects and a whole range of other exciting elements to your posts and pages, doesn’t mean you should — since adding too many features to your website can negatively impact page load times and usability. Sometimes adopting a less-is-more approach to web design is actually a better way of doing things (depending on the result you’re after, of course). The same reasoning can also apply to the myriad customization options on offer. Again, just because Avada makes it easy to choose from a range of fonts, background types, and other design elements and effects, doesn’t mean you should be using them all. Exercising some restraint can help you to avoid the pitfalls associated with too much choice, and help you to deliver an understated website that your visitors will love. This isn’t an issue that’s in any way unique to Avada, of course — it’s actually something that applies to all feature-rich themes. Another potential issue that, again, isn’t unique to Avada (but is still worth highlighting) is the issue of decision fatigue — something that can occur when working your way through the selection of settings and options on offer, and can occasionally limit your ability to make good design decisions. Furthermore, having so many configuration options, layout choices and other possibilities, increases the chance of you becoming overwhelmed when building your website, which can hinder your ability to build the calibre of website you and this theme are capable of. However, if you go into your project with a clear idea of what you want to achieve (as opposed to being led by the features and options on offer) you’ll have a good chance of success. 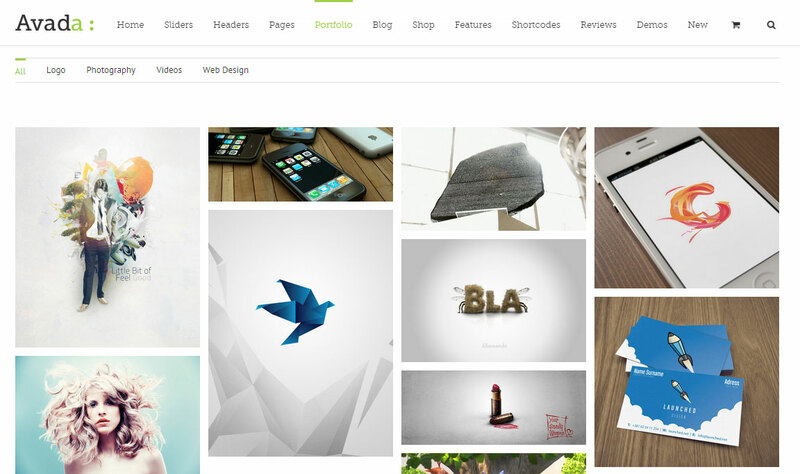 Avada is available from ThemeForest for a one-time fee of $58, which permits use in a single end product (i.e. on a single website). Avada is a theme that’s dense with settings, options, features, and even external plugins, such as LayerSlider WP and Revolution Slider. The package comes with an impressive page builder tool that includes a huge selection of prebuilt layouts to get you up and running as quickly as possible. However, despite the demo content, the individual page templates, and the helpful user documentation, it’s important not to underestimate the task of mastering Avada. At times, this theme can feel like a whole other piece of software that sits on top of WordPress, upgrading almost every feature and element, and adding a large selection of customization settings and options into the mix! If you’re considering this theme, it’s vital that you understand what you’re getting before making the final decision. However, if you’re prepared to put in some work to get to grips with all Avada has to offer, then the constraints regarding what type of website you can build are, as the promotional material implies, pretty much unlimited. To get a better idea of what Avada can do for your website, head to ThemeForest and take a look at the official Avada demo site. 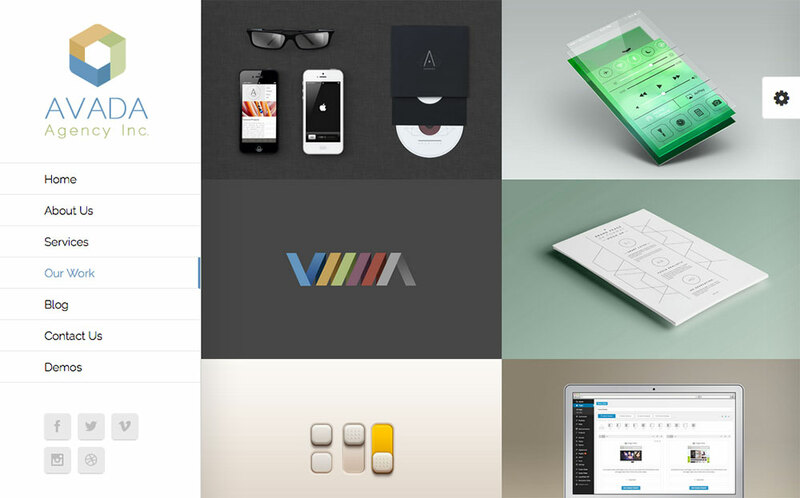 Update (10 February 2015): If you’re looking for a little ‘Avada Theme’ inspiration, check out our list of 25+ Stunning Examples of Avada — ThemeForest’s Most Popular WordPress Theme — In Action. Great review Joe! We use Avada for all of our clients. We have so many licenses it is crazy. In fact it is in our contract now lol :) If you sign with us, your site’s getting put into Avada. This makes it a lot easier for myself and our web developer as we know Avada now like the back of our hands and can copy customizations between installs in minutes. Avada is amazing and you can make it look different if you get someone creative in there. Clean code and fast! Thanks Brian, we are honored to hear this. And we are very excited about the next update coming your way, amazing stuff being done! Hey Geneus! I normally don’t normally reveal my paid client’s sites… I just ran a speed test on one of them and it clocked in at 1.16s / 79 requests / 861.0kb size. This was on the homepage. They are using a slider even though I hate them. Would easily be under 1 second without the slider, but client preference. Here are a few ways I got it that fast. I am using WP Rocket (lazy load on images), an amazing web host (I recommend Kinsta or WP Engine), MaxCDN (every single image is loaded from CDN), images are compressed with Kraken, and also heartbeat control WP plugin to keep admin-ajax.php requests to a minimum. Hopefully that helps a little! into the page body. In my case it was 77% of a page code (nearly 100kB)! This excessive amount of code will be returned by your web server with every page request by your site visitor. It’s the biggest disadvantage of Avada and I do not see valid reasons for which it has not yet been eliminated. The current version of Avada had all the css/js in the header.php file. This was not a problem at first back when it was created, but as it has grown overtime we are making necessary changes. Our upcoming version (v3.8 coming in 3-4 weeks) has removed the css/js from header.php and has been refactored and cleaned. It is a major difference. In addition, you may see some css/js from shortcodes that you are using. That is normal and comes from using the shortcodes. However we are also working on the ability to disable any and all features that you do not want to use. We already have many feature disabling options, please see them on the “Advanced” tab in theme options, but we are going to also be adding them for individual shortcodes and other features. This will allow you to effectively turn Avada into one of those “themes should be built for a specific type of website, with a minimal set of customization options and limited additional functionality”. While at the same time, allowing you to turn it into a feature rich theme with simple clicks of an option. Thank you for a prompt reply, Luke! I’ll check this again and try to «play» with advanced options and shortcodes there. I like Avada’s flexibility and its huge collections of well designed elements so would be glad to use it in another projects. Our code is being refactored and the process has already started a few versions ago. While we disagree that it’s a “mess”, we are of the mindset that code should be continually refactored and optimized, and this is what we are doing. Our upcoming version 3.8 is the biggest step in that direction, header.php file has been cleaned and css/js removed. We are using less css now and one file will be generated, among other things. We take this very seriously and are committed to making everything at a high level. There are some that love avada but I personally don’t like it at all. I’ve made some adjustments in the child theme and now I have to refactor the code I adjusted because avada has changed the templates in version 3.8 and that caused a huge headache. For me, avada is a no-go. I am using Avada theme on my site http://condopundit.com/ The theme receives auto updates and new plug-in installation without user’s permission. It is a shock to learn that they will get in your WP and install a plug in without your permission. Some of my other plugin went down as a result of their 3rd party plugin installation. I have reported the issue via a ticket but I have not heard back. I am not happy with their after sales support. I guess the company is too busy working with big companies/developers and don’t care about individuals. Great post Joe! Might I ask, what tool are you using to take screenshots? Avada is a very BAD theme the support is worse!!! I am now looking to rebuild thousands of hours of website creation on another theme because of broken code errors!!! and Avada refuses to fix it!!! my business has no home on the on the internet do to avada’s lack of responsibility!!! i have wasted my time with Avada!!! my suggestion? stay away from Avada!!!! “Avada is a very bad theme” – can you be more specific? Not to beat a horse, but you are exactly right. There are no specifics. It’s like a nad wagon people like to get on at times. https://avada.theme-fusion.com/themeforest-reviews/ … over 17K reviews with an average of 5 stars and continually being the #1 selling theme on Envato marketplace says other wise. If it takes you thousands of hours to make a website, you shouldn’t be making websites. No. He is correct. He has written thousands of articles over the years. These now have to be individually stripped of Avada’s shortcodes so that another theme can instead be installed. Complex page-building themes like Avada lock your content in because they insert a lot of code into your content to create their look and feel. This is why it can be a nightmare to convert to a different theme if you ended up hating Avada. worst theme I ever wasted my money on. Zero support. What you receive is the most basic theme available. No add ons that they say is included. They talk about a white screen for ease of use. This doesn’t exist. I have never been fooled so badly. Look at my site http://www.fortmyershomes4u.com You can see how bad it is. I will leave it like this for a day for all to view. Avada is HORRIBLE!!! I bought it a few weeks ago and it is very difficult to use – very unintuitive. Even small jobs take hours. Avada is the most frustrating, least productive program I have ever used. Buy anything, ANYTHING else but don’t buy Avada unless you want to be pulling your hair out over simple stuff. I so agree!! I’ve been trying to use it for 3 weeks for a new client and we’ve given up. It even crashed my server at one point. There’s no intuitive WYSWYG screen like other WP themes. I come from a Dreamweaver background so I understand some CSS but I switched to WP about 3 yrs ago. I found myself trying to do stuff in DM for Avada just to make it work. Impossible. My client’s site has a lot of necessary text info and the little tiny text boxes are just horrible. I really hate this theme now. Maybe it’s great for a portfolio site but not for anything educational. Avada is very impressive. But exactly where do you get support for it? It isn’t obvious from the website. The license is also only for a single site. That is very limiting compared to other theme developers. I might be a year too late to the party but at least I got there. Sort of. Took a job with someone ‘making websites.’ No big problem, piece of cake, I’ve made about 10,000 sites before… what could go wrong? I note that I did mention I was *far* more familiar with Joomla than WP but I didn’t know what I was getting into here. Well anyway, 3 days have passed – Me and the guy are barely talking and quite understandably we’re both upset. Me, because – I have been completely UNABLE to output ANYTHING via Avada, I am literally on the floor about this, and I’m feeling like I got duped by a complete transgression from actual website development, which only encourages more people who don’t know HOW to make a website succeed in the marketplace too. I had no idea these kinds of editors existed, generating paragraphs of garbage output – it’s alien in quality. I even think the options and pre-configured layouts that are included are extremely boring. This has to be the worst experience I’ve had with a theme EVER, and I’ve never really had a bad one, so this one is markedly bad. It sounds like a communication issue and not a theme issue. How could you not output anything with Avada? I’m sorry, I’m not following this comment’s point. What example of garbage output? Can you show us some example please? You should really take a look at the latest V5 of Avada. It has actually gotten better. The new Fusion Builder is amazing. I wish I had read reviews (from several places) before buying. Lesson learned. What are you talking about? You can use a regular license for any of the things you listed. Go have a read through https://themeforest.net/licenses/terms/extended to understand what an extended license means. Divi is fine, but you have to pay a subscription cost every year, which obviously you forgot to mention on there. and they have been having great Black friday/cyber monday sales each year too. Is this supposed to be an argument actually? It seems my replies are not showing up here. Yes that is an argument, can you give an actual example against it? And don’t mention file zip size, that is not code bloat, nor has anything to do with it, and additionally is only 5.5MB, not the 30MB+ you quoted above. Dude, this is expected of you as theme developer. But you can’t dimiss anyone who disagrees with you. I have used Avada on many clients’ websites only because they clients forced me to. Personally, I looked at the code and yes, IT IS BLOATED. You have a theme with 30+MB running on a 8MB CMS. Need I say more? Since you have looked at the code … please give an actual example of it being bloated. And again, don’t give old example nor the size of the theme, that simply shows your inaccuracy. Get the latest version, we’d be happy to email it to you, and show us a line of code bloat and give us a reason why. It seems part of my comment is missing. The theme is not 30MB+, it is 5.5MB, again you are looking at an old, old version when the plugions were bundled with it. Now they are securely offloaded. BTW, zip file size is not code bloat. Also, Rev Slider is 7Mb+, Layer Slider is even larger at 15MB plus. That is where the extra size used to come from, not the Avada theme. It is currently 5.5 MB only, again look at a newer version. and actually know the meaning of code bloat. Code bloat is the production of code that is perceived as unnecessarily long, slow, or otherwise wasteful of resources. Code bloat can be caused by inadequacies in the language in which the code is written, the compiler used to compile it, or the programmer writing it. First code bloat was file size from you, and I’ve explained that is not the case, nor is the theme 30MB in size, it’s 5.5MB. Secondly, for speed, test our main demo at Pingdom, WebPageSpeed, GtMetrix, orGoogle Page Speeds … you will see we excel at all of them. Maybe you had a hosting issue with cheap shared hosting? Any modern theme is going to run slower on those, but we even have all those shared hosting packages for testing and if you use a cache plugin (which good hosts already have one built in) you can still get in the 90’s for speed tests. Test our main demo and see. scores are extremely high and there are a lot more factors that go into it than you could imagine. We take immense pride and put great importance on ensuring Avada’s performance is top notch. Breaks the site every time I update it. So if you love doing extra work for no reason buy this theme. Otherwise, stay away. I am thinking to purchase Avada. I have 2 questions. Can I use avada in mulitple sites (fully suppotable)? I am going to purchase licence for one site only. How long I can get free upgrades of this theme. I a going to spent 39$ upon it. Avada has the worst designs and code, I don’t understand why people even bother with them. My only guess is beginner developers can’t distinguish between good themes. You are misinformed about Avada’s license, you can use the regular license, but where Divi is better, is that I can use one Divi License for my own sites, or client sites. the way I read avada’s license, you need to buy a new license every year for your own sites AND clients need to also buy their own license (If it were me I would build that into the cost of the site build and let client know they need to budget for this every year). Divi’s license id easier.